Discussion in 'Off Topic' started by MGarrison, May 21, 2013. 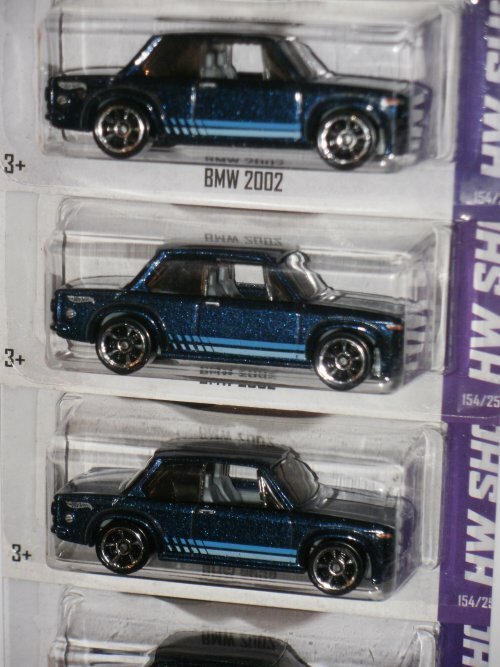 Up until a couple of years ago, Hot Wheels had only done a few BMW models, but since then, it's been a different story and they've picked up the pace. I hadn't noticed until seeing last year's orange & white 2002's, which spurred enough interest to pick some up & see what I could find. 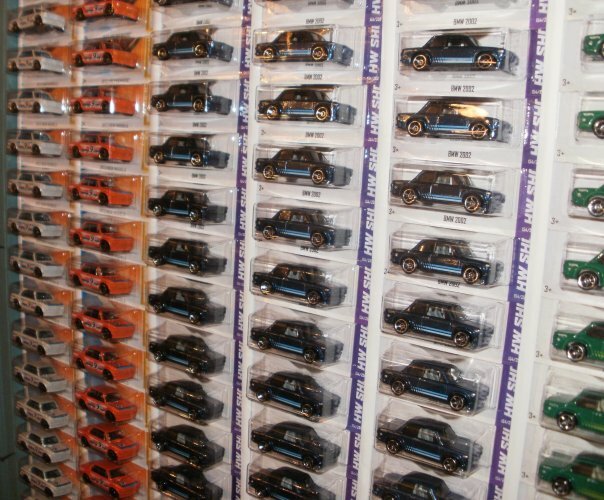 It appears that by next year, Hot Wheels & Matchbox will have brought out a combination of 20+ models including variations, since 2011. E92 M3 in red & white came out in '11, the M3GT2's in black & white with cool M logo decals, for '12, and '13 are black & blue, same street version as in '11. 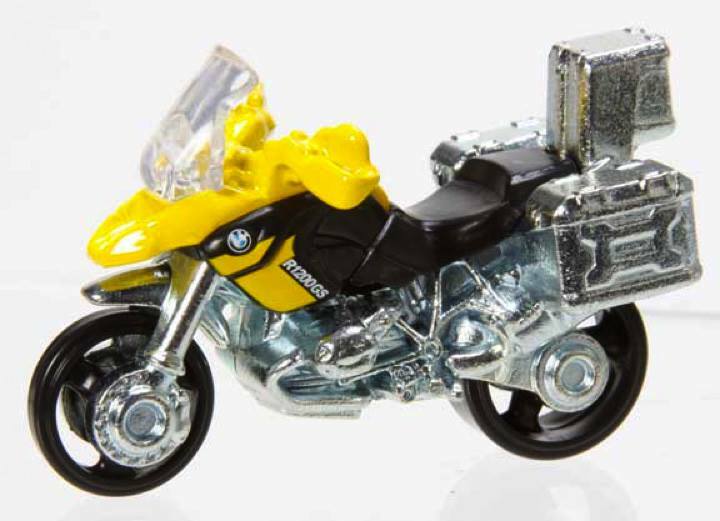 Matchbox BMW police motorcycles, white, & gray/yellow. There is a green military police bike out that I don't have a picture of yet, and apparently there is a blue one yet to come. Next year apparently a G1200RS will be one of the Matchbox issues. 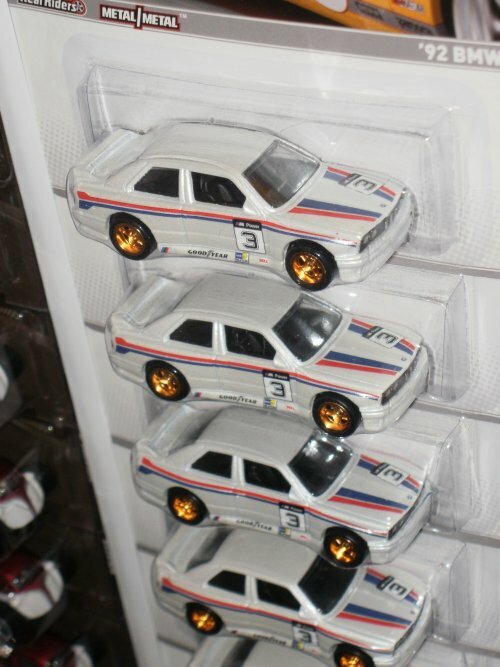 E30 M3 in silver - Hot Wheels card titles it a '92 BMW M3. 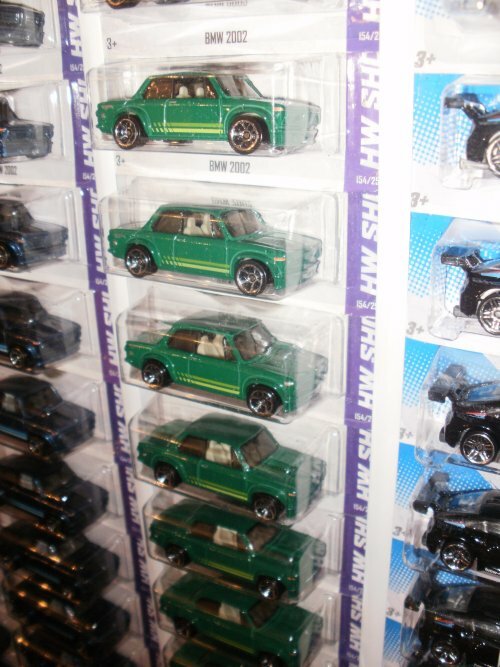 Some 850i's from twenty years ago - the blue with the green wheels was a limited issue; these were out in the early 90's. The Isetta-based "Whattadrag" - in the Hot Wheels 'Boulevard' series - very nice! This model came out a few years ago and has a few variations, none of which I have; this Boulevard issue is currently available, though. In addition to the R1200 GS Motorcycle, next year Matchbox is reportedly bringing out an E82 1M Coupe model - should be pretty cool. 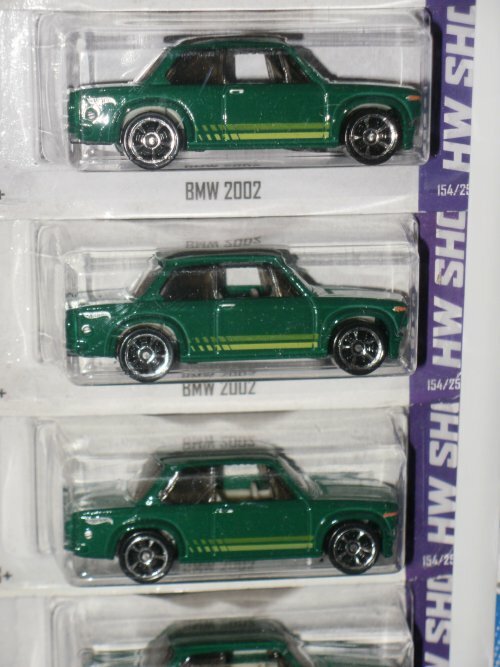 No idea what Hot Wheels may be doing with any '14 BMW models, we'll see! 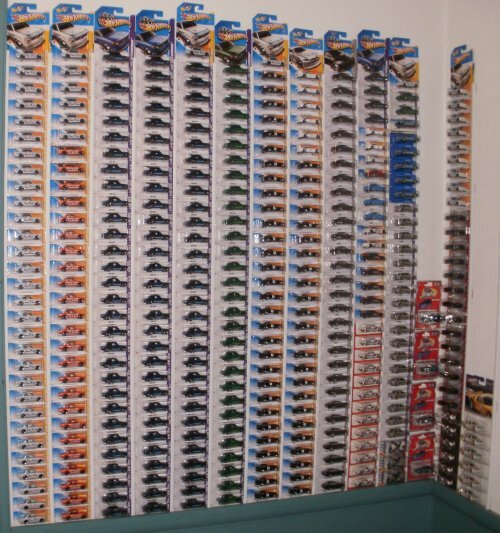 Just in case you were wondering, the ones on the red cards in the corner are some cheap Chinese diecast from a dollar store that sells those but not Hot Wheels; there was a Z4, and an X3. 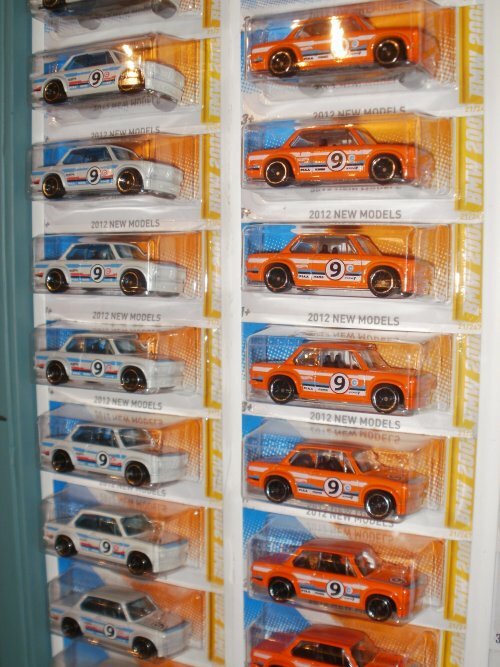 Here's the red E30 M3 on the typical long card, these were out late last year and early this year - best I can tell, a few may still be hanging on pegs at Walmart, Target, Meijer, & maybe Toys-R-Us. 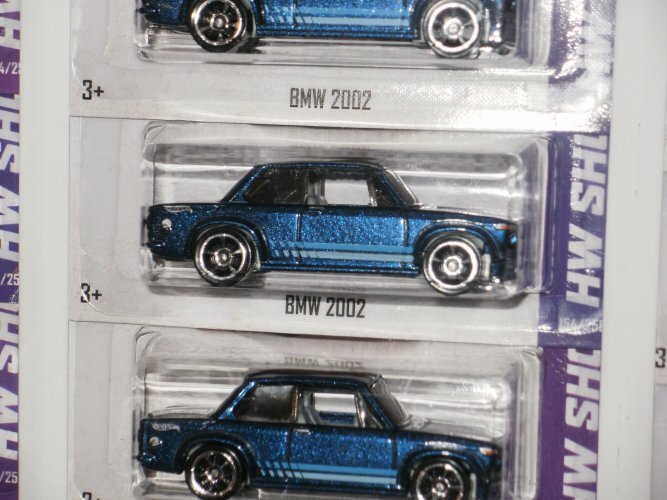 I think there are a couple of rare wheel variations where different wheels were used, but I've never come across any - however, a more common variation is that some of the red M3's have roll bars (like the earlier blue & silver M3's), but the bulk of the red M3's do not have the roll bar interior. 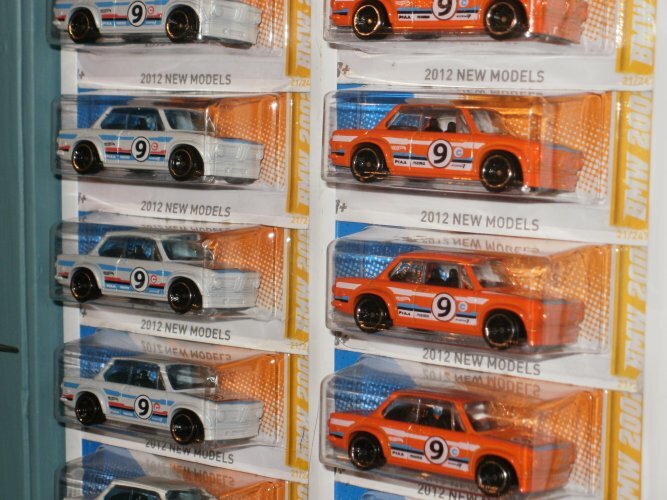 KMart has Hot Wheel collector's events a couple times a year, this February's brought out the exclusive-to-KMart white E30 M3; I think this one also has a rare wheel variation, although it would be lucky to find any with that. Here's the long-card K 1300 R BMW motorcycle, grey tank - these were out early in the year, and they either got snatched-up quickly, or they just didn't put out that many of them, these have been hard to find in any quantity. and, the version with the orange tank - these came out a couple months ago, occasionally still come across one here & there... these have been easier to find than the grey-tank versions. I've been searching for a pedal car for my grandson, of course, as in the original production count, Atacama Yellow Z4's are not that easy to come by. But with some help from a friend, there is actually light at the end of the tunnel. Anybody had any experience with this outfit? Not me - looks cool though; google 'em just to make sure there haven't been any instances of them spontaneously combusting or small animals collapsing into convulsions after sniffing Chinese-originated arsenic, lead, or acid-laden paint. Don't know how I missed this last year, but somebody over on Bimmerpost had some fun - very cool! looks killer - you gotta paint on or print up (or something) a copy of your license plate too! Through the magic of Photo Shop... BABY BEE! Off to the print shop in the morning. Need a little more work on the sizing... but I have until Christmas to get it right! Every Car needs a Driver... Looks right at home with his racing harness & hand on the shifter. Last one before Christmas... Is this what they mean by B2B? MGarrison and Ken.S.330 like this. Great pic of your grandson - definitely got a laugh from him in that baby-sized cap! Here's the R1200 GS, which have hit the shelves in the last couple of months. It would appear the BMW motorcycles are popular, they're not particularly easy to come across. 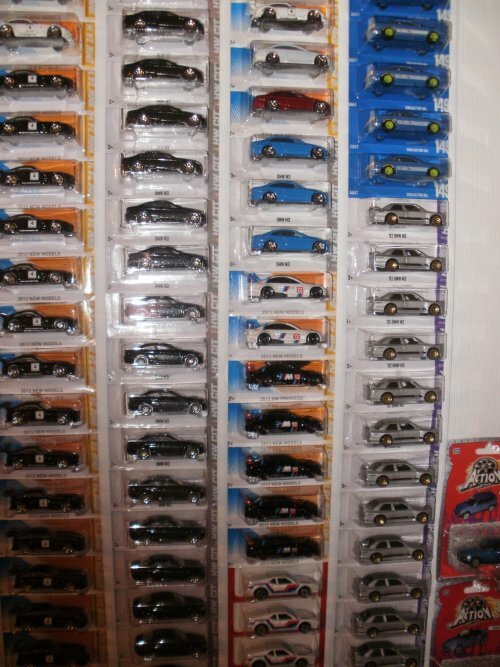 That's it for the moment - soon I'll put up some pics of the Hot Wheels E36 M3 Race, which is white and wavy motorsports colored checker flag decals on the hood & trunk, similar to the E36 M3 Lightweight; I don't think those have hit the shelves yet in my area, but apparently they have in some places. Most importantly, the BMW 5-series police version - but, also some cool models to note, remember the bad-a$$ Lamborghini off-road hummer-like LM002 of years ago? There will be one of those, plus a version of the current presidential Cadillac limo, the Tesla Model S sedan, a current-era Ford cab-over semi-tractor sans trailer, a Porsche Cayman, and Alfa-Romeo 4C. Dang - they had a report with a bunch of pictures of the pre-production plastic 3-d printed 5-series police car but apparently took it down - here's one pic from the above blog post in case that disappears. 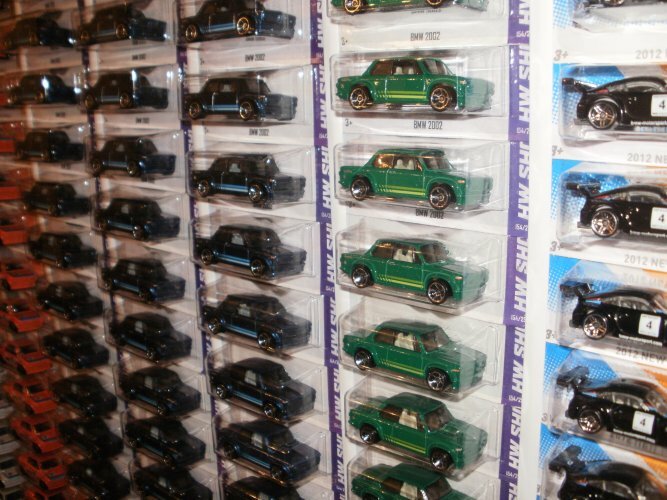 Lamley reviews the Tomica Limited Vintage 1/64 (Hot Wheels scale) E30 4-dr models - these are a little pricey at $20+ each from the Japan Booster EBay store, but they're nicely detailed for this size model - plus, how often does anyplace do any kind of regular E30 model that isn't the M3?